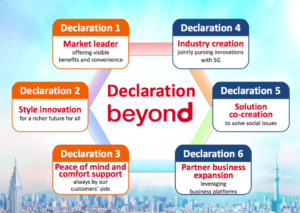 DoCoMo is releasing a “Declaration beyond” document that outlines its strategic plan and vision for the innovative business structures for the 5G era. According to DoCoMo, the plan aims at 2020 and beyond, and its objectives are 1) to exceed the expectations of customers and help them connect with their aspirations via exciting and unexpected services; and 2) to create all-new value propositions in collaboration with business partners. The technology aspects of this 5G plan as well details of the first trials of “Services of the 5G era to be created jointly with partners.” are being included as part of recently shared materials with investors for quarterly/yearly reporting purposes. The plan comes at a turning point for 5G marked by hitting the mid-point technology development milestone around the world. As we saw in China’s case, the early technology development (Phase-1) has been finalized resulting in a technology baseline for 5G that includes ITU’s IMT-2020 requirements, 5G NR for the new radio air interface, and SDN/NFV virtualization for core network aspects. Now the next steps take 5G to focus on technology validations trials, and developing products that take advantage of 5G’s ability to transmit higher data volumes, support gigabit speeds, and deliver better performance. DoCoMo President Kazuhiro Yoshikawa says, talking about the 5G Declaration Beyond plan that “We want to innovate for our customers’ lifestyles by making the most of 5G,” and this innovation according to the plan will provide their customers new products beyond smartphones, and create new services for them in the areas of self-driving cars, e-sports, disruptive new financial and payment services, and artificial intelligence. And with this, DoCoMo’s journey to develop its 5G business has been put in motion. Among the different declarations (full list below) of the 5G business plan, Creation and Co-Creation are worth noticing. With Creation, DoCoMo is taking the step to define its 5G ecosystem as a platform to collaborate with partners in creating standard-setting new services that leverage 5G strengths including low latency, ultra-high speed, ultra-large capacity and massive device connectivity. The first trials of this Creation approach starts in May 2017 and includes partners such as Alsoc, Toppan, Crescent, inc. and the Tobu Group. Co-Creation aims at working with industry verticals. including education, sports, healthcare, mobility and work style. Market leader: DoCoMo aims to lead the market in value propositions by further integrating and evolving its services, actively returning value to customers through a wide array of tangible benefits, including strengthened loyalty programs and attractive billing plans. By fiscal 2020, the total number of “d POINT” partners will be increased to more than 300 partners, with the aim of establishing “d POINT” as one of Japan’s largest point programs. As a first step, on May 10, “docomo POINTs” earned under the former loyalty program will be transferred to the “d POINT” program, extending the validity period of the points and expanding the ways they can be used. And on May 24, the new “Simple Plan” and “Ultra Share Pack 30” subscriber plans will be launched. Work style innovation – Drone robotics, Work innovation and Work matching. Peace of mind and comfort support: DoCoMo will use AI to develop all-new customer contact points for the provision of optimal, stress-free support for each customer, anytime and anywhere, with a special emphasis on reducing customer wait times. A new system will enable customers to consult their smartphones about a wide range of issues, and measures for enhanced communication will be implemented for issues requiring specialized assistance. Industry creation: DoCoMo, the leader in emerging 5G technologies and services, will collaborate with partners across a wide range of industries to contribute to social and industrial development through 5G technologies. 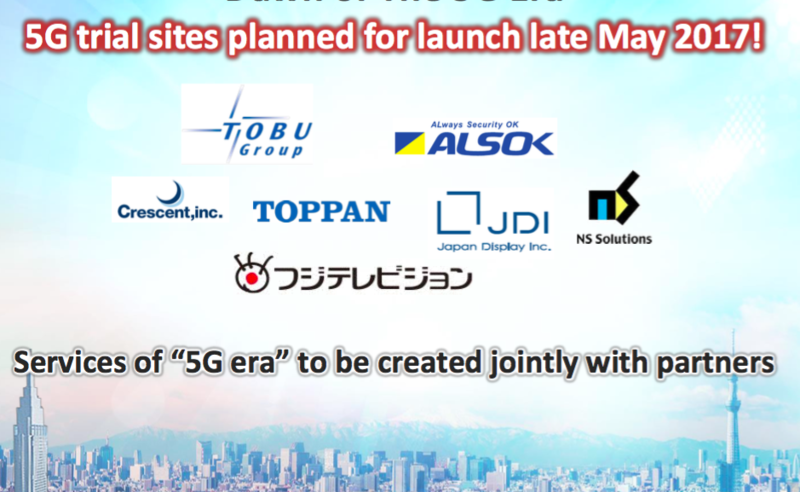 From late May 2017, 5G trial sites will be launched to enable partner companies and DoCoMo to collaborate in creating standard-setting new services that leverage 5G strengths including low latency, ultra-high speed, ultra-large capacity and massive device connectivity. Solution co-creation: DoCoMo also will collaborate with partners in six key fields-primary industries, education, sports, healthcare, mobility and work style reform-aiming to contribute to further growth and prosperity in Japan, including through the vitalization of regional economies. In the case of work style reform, collaborations will facilitate telework environments and share offices, to be introduced this year. Partner business expansion: The plan’s sixth declaration is the further enhancement and evolution of DoCoMo’s business platforms for loyalty points, customer referrals, FinTech, AI agents, IoT, drones and other business areas, which partners will use to expand transaction flows, develop new business and realize higher levels of productivity. 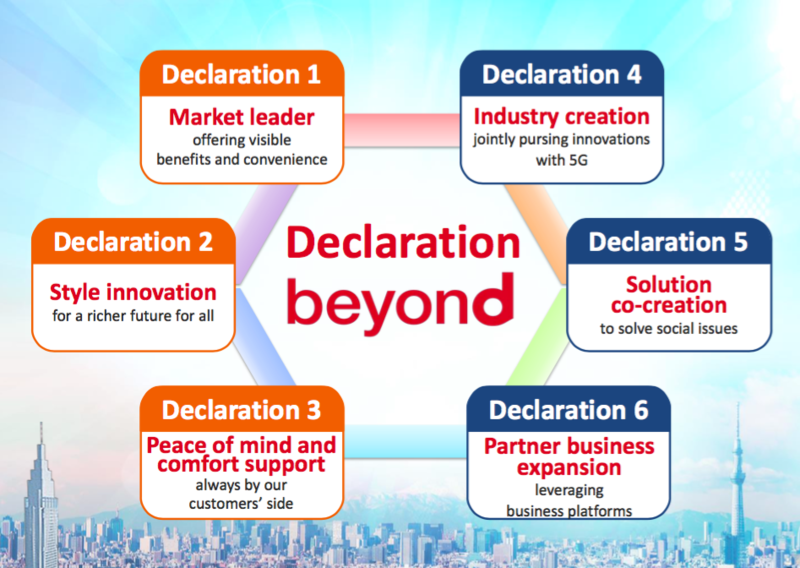 Going forward, DoCoMo will steadily implement its “Declaration beyond” medium-term strategy to establish an increasingly innovative business structure. 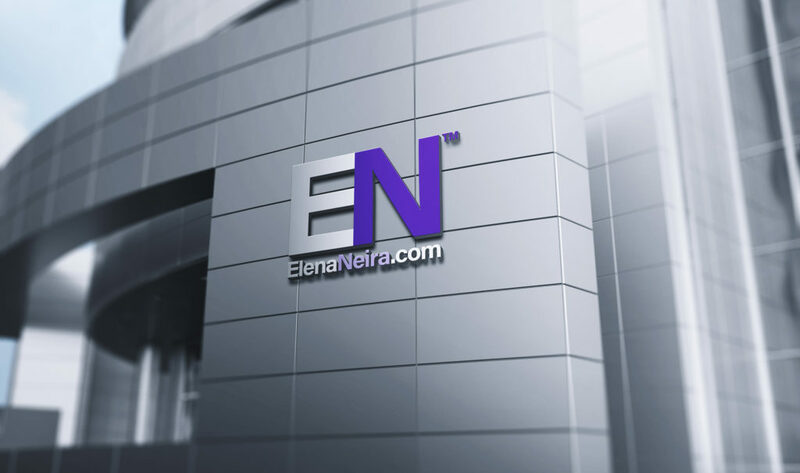 At the same time, the company will continue to strengthen its business platform, aiming to pass on value to customers and invest in further growth, as well as leverage advanced 5G technologies for the ongoing evolution of its value propositions. The timing for releasing this 5G business development report was made to coincide with the release of good 1Q2017 results, and with the summary of year 2016 results, signaling to markets that the transition to next generation 5G business and technology has been set in motion, and becomes part of regular business reporting as is the rest of the business reports presented to investors. (*) To view PDF files, you need the Adobe® Reader® plug-in offered free of charge from Adobe Systems, Inc. When viewing the PDF files with Adobe® Acrobat®, use version 10 or later. © 2017 www.5g-magazine.com – All rights reserved. Find us also in Facebook, Google+, Instagram, Medium, and Twitter. Use of this Web site signifies your agreement to its Terms & Conditions. For partnerships, inquiries, please contact us at social media(at)5g-magazine.com. Continuing the reporting of 5G in China, this issue of 5G Magazine (*) is a China 5G Market Report with the latest updates from right after passing the mid-point of 5G R&D development – marked by the completion of the Phase-1 testing – to the beginning of Phase-2 testing involving product R&D trials. These updates reveal that China’s 5G roadmap to commercial launch continues according to plan. Before we dive into the updates themselves, let’s cover how the roadmap took shape and the milestones that have been meet. Made in China 2025 and IMT-2020 (5G) Promotion Group: China’s 5G roadmap is guided from the Ministry of Industry and Information Technology (MIIT). It was articulated in the Made in China 2025 plan which describes, among others, the strategic goal of China to become a leader in 5G, including in standards, by 2020. The management of this strategic goal has been done by the Ministry’s IMT-2020 (5G) Promotion Group. The group was founded in February 2013, and since then it has been the major platform to promote 5G research in China. The organization counts with 56 members including large operators, OEMs, universities and research institutes around China. We dedicated the article “China Moves a Step Closer to 5G” to look at the organization and 5G alternatives. Billions of connections as described by ITU. And shortly after the report of these test results, polar codes were added to the enhanced Mobile BroadBand (eMBB) specs in Third Generation Partnership Project (3GPP). This was regarded in China as proof of their leadership role defining and developing the 5G global standard part of the 5G roadmap to commercial deployment. AI, Cloud Are Transformational Forces: The broader 5G roadmap in China reaches beyond the traditional “building blocks” telco for innovation. Software technologies, in particular cloud and AI, are being looked at as disruptive technologies to incorporate to the 5G roadmap. Major examples are China Mobile’s “More Than Connecting” 2020+ Vision and e-commerce giant Alibaba’s announcement of their global intelligent cloud. A $73 Billion Built-Out Budget: It was also in 4Q 2016 when a 5G network built-out plan with a $73 billion budget was confirmed with the aim at realizing 5G commercial service as early as 2020. This network will have the backing of its regulatory body as well as the backing of business plans at several local and global companies. IMT-2020 (5G) group said that the construction of this 5G network in China will begin in 2019. In this issue of the 5G Magazine (*): We continue covering 5G in China with a market report update with the ongoing trials to define product architecture and hardware proof of concept including 5G NR. (*) 5G MAGAZINE is available to subscribers only. For delivery contact us at info@5g-magazine.com. 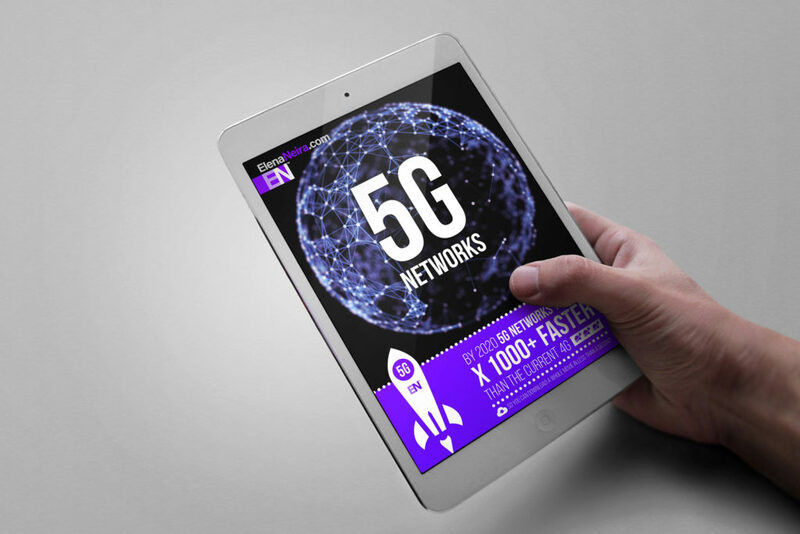 5G Magazine is the #1 read for technologists, investors, entrepreneurs, thought leaders, event organizers, corporate executives, academics, engineers and researchers, government officials, international organizations, PR/press and mobile enthusiasts. It is an independent monthly publication, and this is a pre-rollout, market trial issue of the periodical. The 5G Magazine Twitter account was recently proclaimed as one of the ‘The 7 Best Telecom Influencers On Twitter, and it has been quoted in Wikipedia. 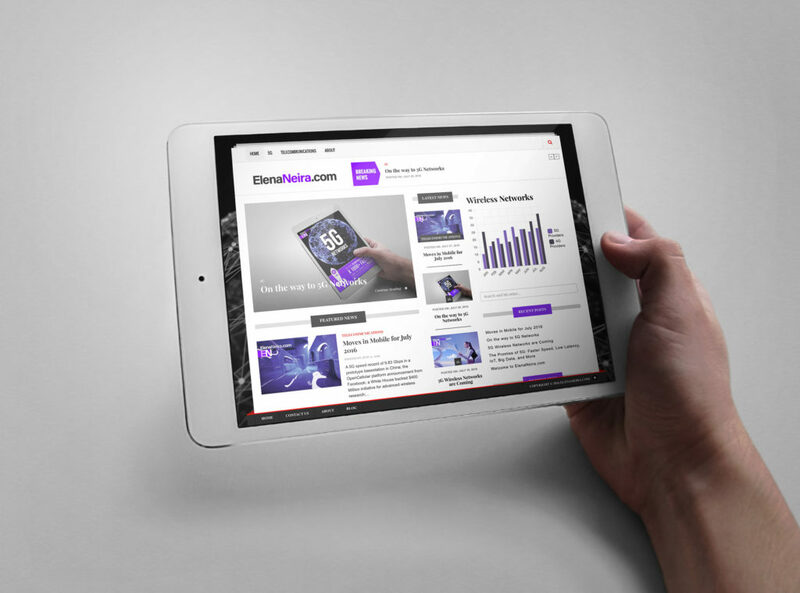 5G Magazine Ads/Partnerships: 5G Magazine is the single largest source of news that is focused on the 5G Innovation, Tech, and Entrepreneurial ecosystem. We have a number of different options to reach an educated and affluent audience of tech influencers at scale. If you are interested in discussing further, please contact us at info@5g-magazine.com and we can walk you through the various options, and how to make it work for you. Happening in 5G: The Game Developers Conference 2017 demos underscore the trend towards mobile AR/VR, and the role of 5G connectivity to enable the user experience on the move; 3GPP announces a work schedule for early completion of Non-Standalone 5G NR specs likely including a LTE mobility anchor; China Mobile Prepares 5G Second-Phase Trials in 3.5 GHz; A 5G Massive MIMO Testbed in UK yields 100 Bits/Sec/Hertz; and FWA trying to disrupt FTTH in the last mile. 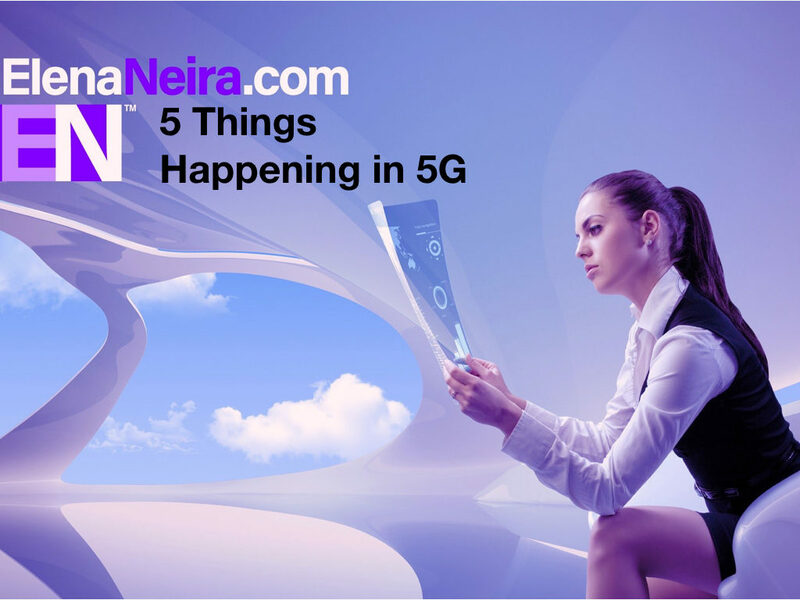 – 5 Things Happening in 5G. At the recently held Game Developers Conference 2017 several companies exhibited and demonstrated proof of concept mobile AR/VR user experiences highlighting the trend towards mobile wearable AR/VR gear that will be as easy to use and as ubiquitous as the smartphone. At the conference, LeapMotion showed a reference headset with inside-out tracking and hand tracking (6-D0F VR HMD) capabilities running on Qualcomm’s Snapdragon 835 mobile platform. 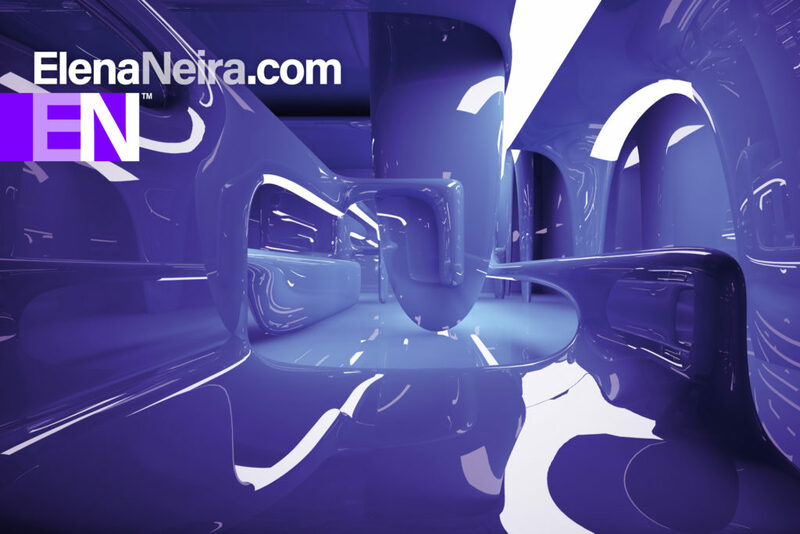 This demo showed a combination of software and hardware targeted specifically for untethered, battery-powered virtual and augmented reality devices running off the same types of processors and platforms already used in smartphones around the globe. What it takes to make AR/VR mobile-first? LeapMotion CTO says that the challenges to build such a platform in this space are immense. As an example, he points to the need “to build a whole new Leap Motion sensor with higher performance and much lower power… We needed to make the most sophisticated hand tracking software in the world run at nearly 10 times the speed all while making it smoother and more accurate than ever before.” The ultimate result will be the merging and/or augmenting of digital and physical worlds while users are on the move, a truly mobile-first experience that will be enhanced and made mass-market ready with 5G’s higher capacity, lower latency and new communication/contextual features. A major decision was taken last week in 3GPP regarding the timeline to complete 5G New Radio (NR) specifications. In particular, the RAN (Radio Access Network) group agreed to have an intermediate milestone for the early completion of the Non-standalone (NSA) 5G NR mode for the enhanced Mobile BroadBand (eMBB) use-case. In NSA mode the connection is anchored in LTE’s Core & Service facilities while 5G NR carriers are used to boost data-rates and reduce latency. With this early completion agreement, NSA will be finalized by March 2018. At the same time, the group re-instated its commitment to complete the Standalone (SA) 5G NR mode by September 2018 and put in place a plan to achieve that. China Mobile, following the 5G roadmap it outlined earlier, has started to prepare second-phase testing that plans to carry on during the second half of 2017. In these second-phase tests, China Mobile will use the 3.5 GHz band to set up the trial environment in cooperation with Qualcomm providing the device prototypes and ZTE providing the basestations. The trials will simulate several 5G NR use cases in real-world deployment scenarios as defined in China Mobile’s test plans. The focus of the trials will be on 5G New Radio (NR) as part of efforts to help ensure a timely commercial 5G launch, according to China Mobile Operation Technology Genera Manager Wang Xiaoyun. Wang said the collaboration with Qualcomm and ZTE is also expected to support rapid validation of their devices and equipment, which are based on the 5G NR specs being developed by 3GPP as part of future global 5G standard. The operator, the largest in the world with 851.2 million mobile subscribers as of January 2017, plans to build 20 5G sites in four to five cities by 2018 as part of these second-phase testing plans. By 2020, it aims to roll out 10,000 5G sites for commercial service launch. Newly reported results from one of the 5G trials conducted at British Telecom (BT) Labs indicate that a spectral efficiency of 100 Bits/Sec/Hertz has been reached. Researchers conducted the trial using the 3.5 GHz spectrum, used a basestation with an array of 128 antennas, and configured the antennas to run massive MIMO spatial multiplexing. The tests were conducted with a testbed that uses a software-defined radio (SDR) platform developed by National Instruments, and hardware platform provided by Bristol University. The test location was Suffolk’s BT Labs and included outdoors and indoor environments, the company’s large exhibition hall ,simulating a stadium environment. The trials, a collaboration between Bristol and Lund Universities, National Instruments (NI) and BT, were held to demonstrate the potential of Massive MIMO for 5G. The tests results of over 100 Bits/Sec/Hertz are indicative that a 10 times better performance than current LTE systems is achievable. Mobile spectrum scarcity together with a price/GB of mobile data about 50-100 times that of fixed data are two commonly used arguments to make FTTH (Fiber To The Home) and other fixed broadband options a winner in last-mile broadband battles. The result is that Today, over 90% of Internet traffic is delivered to homes over fixed broadband connections. But there are signs that this might be about to change with the arrival of what is being called “5G FWA” (5G Fixed Wireless Access) connectivity. 5G FWA is seem by many as a disruptive alternative to last-mile fixed broadband such as FTTH. Much has been talked about, and already technology development and trials are underway involving large industry players that favor FWA mmWave solutions to reach users in their homes. But these mmWave frequencies suffer massive performance degradation when they hit trees, passing cars, etc. specially in the last 500-feet to a home and/or in non-line-of-sight conditions. This is one of the reasons why we are seeing in the marketplace alternative proposals to deploy FWA solutions in other parts of the spectrum such as in the sub-6 GHz bands. For example, California-based Mimosa Networks points “The wireless last mile is not a ‘one-size-fits-all’ scenario. We must take advantage of fiber where it’s available, use millimeter wave frequencies for reliable short-range backhaul, and most importantly, promote spectrum sharing and reuse techniques in the lower frequencies that are needed to reach people’s homes.” Mimosa’s newly released last mile wireless solutions – that they called MicroPop and GigaPoP – represent the “opportunity for ISPs to reliably deliver [wirelessly] hundreds of Megabits per second to each home at one-tenth the cost of fiber changes the game” says the company. These solutions target sub-6 GHz spectrum bands, and with less spectrum available, efficient spectrum reuse techniques such as their SRS technology are critical to achieve scale and make the solution competitive with fixed and other FWA alternatives. Issue No. 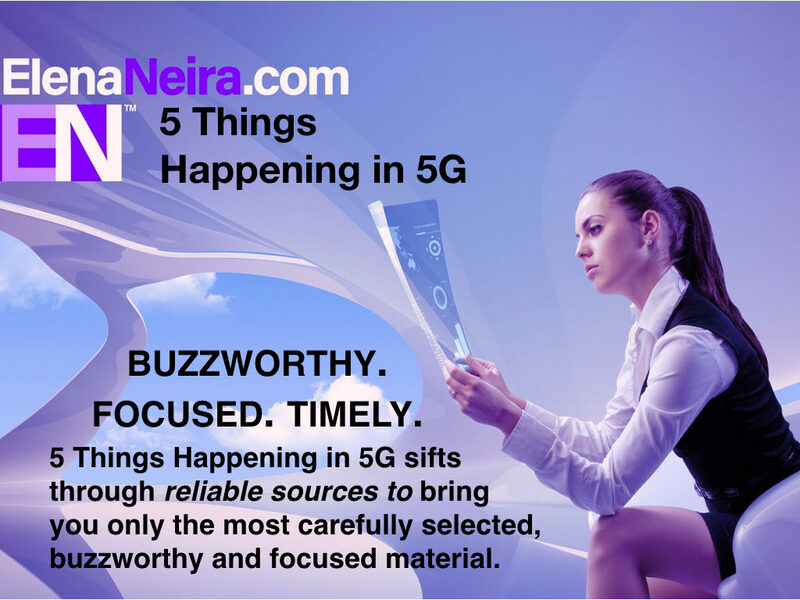 15 (2017-02-05) of 5 Things Happening in 5G sifting through reliable sources to bring you carefully selected, buzzworthy, and focused biz, tech, and market trends. The Mobile World Congress (MWC) 2017 is hosting this week the annual gathering of the mobile ecosystem. Leading up to this event, 5G announcements have been plenty and coming from around the world. Among all of them, here are the trend-setters: (1) Gigabit-LTE, 5G Friend or Foe? (2) Open, cloud, disaggregated 5G features; (3) 5G disruptors too are attending MWC; (4) MWC gets updated market trends, and we look at those impacting 5G ; and last but not least (5) ITU released draft performance requirements of IMT-2020 for 5G. Gigabit-LTE, 5G Friend or Foe? 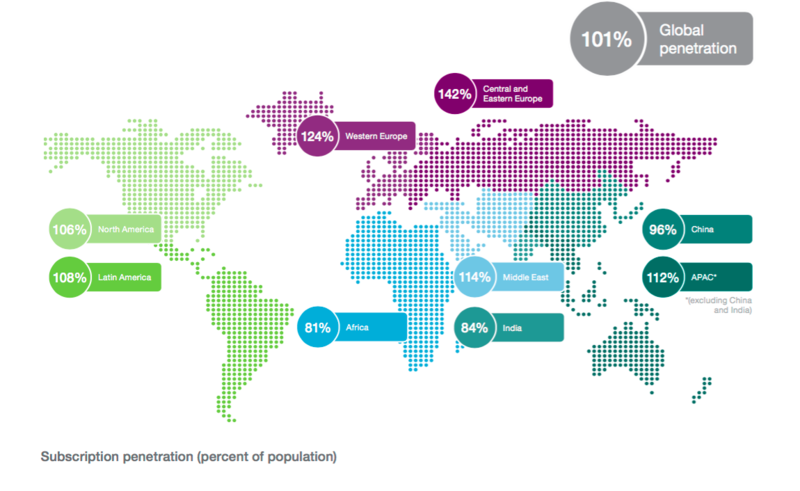 One of the major trends shaping mobile is user demand for mobile broadband. EMR forecasts double-digit growth through 2022. Strategies, technologies and services that cater to this trend are vividly present at MWC 2017 and there has been a number of announcements in this area from device makers, OTTs, operators and enterprises. Representative of this trend is the Gigabit LTE Experience announcement where Qualcomm, Ericsson, Telstra and Netgear have partner to showcase the world’s first Gigabit LTE network that can provide up to 1 Gbps download speeds. In this case, the mobile broadband user experience (UX) is delivered with Netgear’s Nighthawk M1 router with Qualcomm’s Snapdragon X16 LTE chipset for wireless connectivity offering support for up to 20 WiFi devices on a single connection. Qualcomm reports that using this Gigabit LTE router, the download of an HD version of a 32 minute long short film in just 15 seconds and the upload of a 300 MB 4K video to Google Photos takes 30 seconds. Today Gigabit-LTE is the answer to mobile broadband. What happens when 5G becomes commercially available by 2020 giving users UX improvements of an order of magnitude?. The demand for this improved performance and UX is currently under definition and development. It has the potential to shape how/if Gigabit-LTE competes, complements or accelerates 5G. Open, cloud and disaggregation are being incorporated as functionalities into 5G services, devices, core and access networks, and also in 5G’s management and transport domains. One of the most active areas being looked at is the overall Radio Access Network (RAN) and its basestations. From the many announcements coming out of the MWC 2017 in this area, we are selecting Infinera’s announcement of new transport solutions tailored to provide more flexible RAN transport (front-haul) functionality; their solution is oriented toward supporting flexible basestation architectures where the RF functionality (RRH) and the baseband functionality (BBU) could be split. Fronthaul transport may appear simple, but due to -among others- strict latency and synchronization requirements, these networks are complex, highly aggregated and optimized for specific HW/SW stacks. Infinera is providing a stand-alone front-haul and says its value proposition rests on the at cost savings (lower power, less equipment than traditional transport) and on more efficient operations (fewer central offices and less equipment at the cell site). The three (non-traditional telco) industries disrupting 5G are all present at MWC 2017. It was difficult to pick one to showcase but Google’s announcement of CRBS plans and progress stood out from the others because it covers disruptive private cellular networking solutions, disruptive spectrum sharing techniques, and disruptive fixed wireless business models. The announcement by Google via blog post says that their CBRS spectrum sharing in 3.5 GHz is closer to becoming a reality. Google says that CBRS will enable large venues such as enterprises, concert halls, sports arenas, theme parks, shopping malls — and yes even hotels and conference centers — to easily deploy private, wireless LTE networks without spending billions to lease spectrum. As far as devices, Google has demonstrated phones and MiFis with Qualcomm and Spreadtrum chipsets. On the network side testing work is ongoing with several OEMs to work on FCC’s SAS certification. 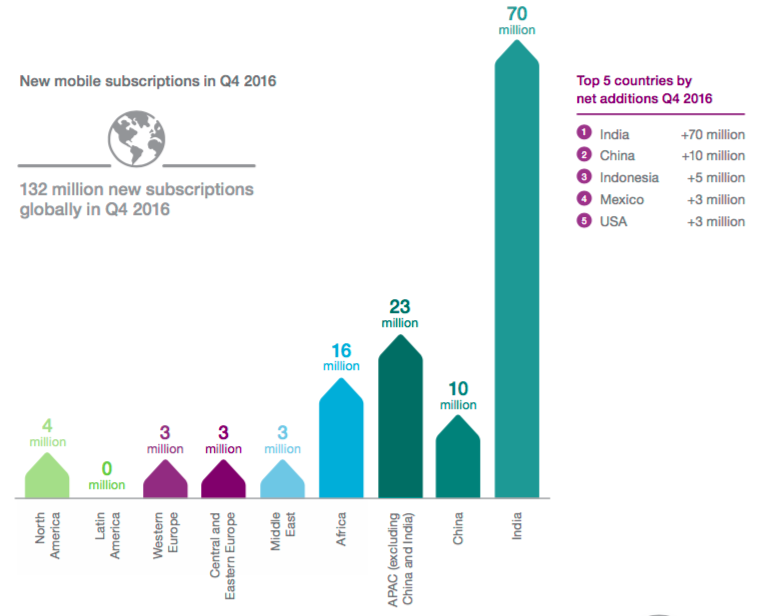 Ericsson Mobility Report -update released ahead of MWC 2017 – contains a wealth of numbers about the mobility market. We picked the most relevant qualitative trends in it, and turn them into quantitative forecast for 5G. A global cellular penetration rate larger than 100%, a double-digit growth in video traffic have the most impact on the future of 5G. In total we selected not 2 but 5 critical facts and figures on consumer mobile usage, adoption, subscriptions and traffic to learn and inform 5G forecasts like mobile market growth predictions, product development priorities, disruptor strategies, app release plans and even reports to the board. Coinciding with the beginning of the MWC, ITU issued the draft IMT-2020 minimum performance specifications for 5G that expects to be approved by ITU-R Study Group 5 at its November 2017 meeting. The report contains three usage scenarios: enhanced mobile broadband (eMBB), ultra-reliable and low-latency communications (URLLC), and massive machine type communications (mMTC). The report says that the peak data rate under ideal conditions for a single mobile station is suggested to be as minimum 20 Gbps downlink and 10 Gbps Uplink. The target values for user experienced data rate in a Dense Urban (eMBB) test environment are 100 Mbps downlink and 50 Mbps Uplink. User plane latency in ideal conditions is 4 ms for eMBB and 1 ms for URLLC. Control plane latency is 20ms with an aspirational lower goal of 10 ms. As far as connection density, each cell tower should be able to support 1 million devices per square kilometer for massive machine type communications (mMTC), such as IoT. The ITU minimum performance requirements also includes support for mobile devices moving at up to 500 km/hr. Issue No. 14 (2017-02-05) of 5 Things Happening in 5G sifting through reliable sources to bring you carefully selected, buzzworthy, and focused biz, tech, and market trends. 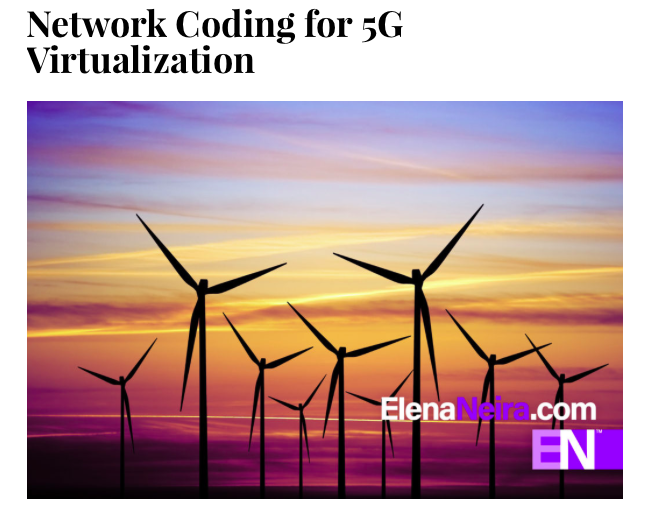 The article analyzes ground-breaking research in Network Coding and its applications to 5G virtualization as well as the potential impact on network design and architecture of providers seeking to enter or expand virtualization capabilities. The article also gives the highlights of a Network Coding prototype implementation based on Open Stack and OpenFlow, and the Kodo library. 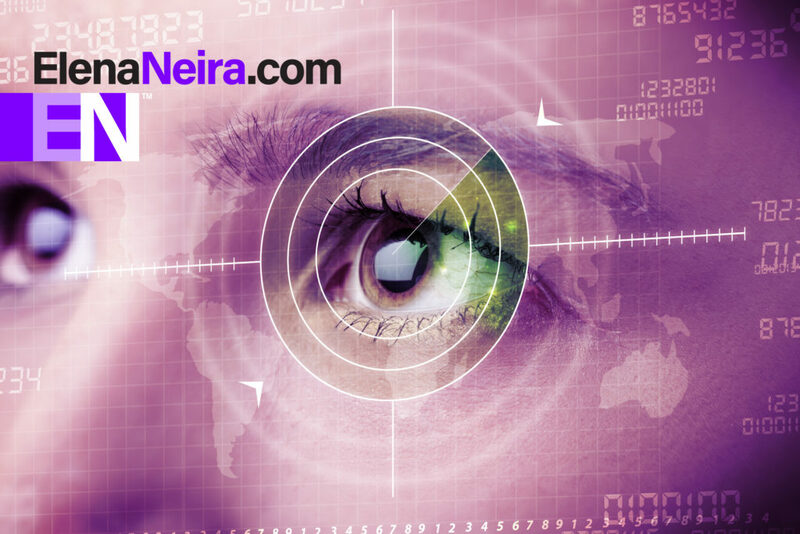 The prototype shows the capabilities of this new technology to mask impairments such as packet losses showing 3 to 11 fold gains are attainable in terms of throughput and reliability. Now that you are here: For partnerships, inquiries, please reach us via socialmedia(at)5g-magazine.com. Celebrating World Radio Day 2017. We are celebrating #WorldRadioDay! 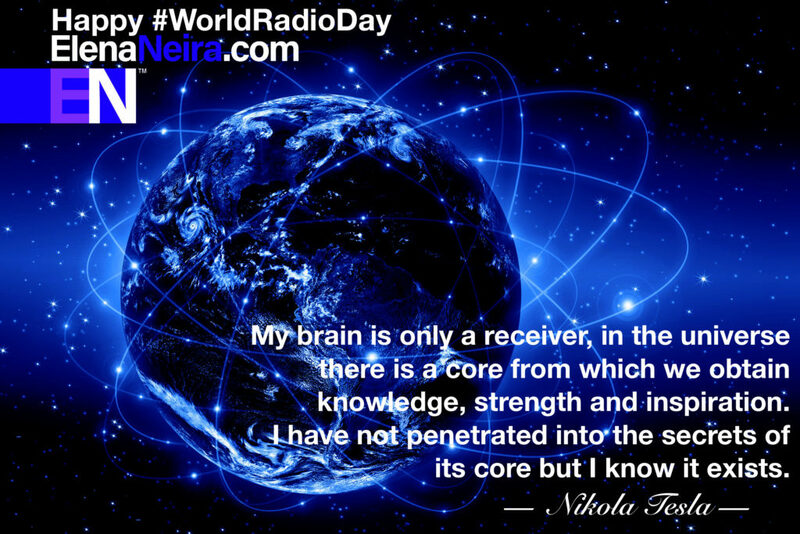 Kudos to radio, and the many technologies that follow it -wireless, TV, Mobile Internet, … – and enable people to connect, share and communicate around the World. There are hundreds, if not thousands, of uses of radio spectrum and technology. Everything from baby monitors, satellite radio, internet radio, mobile radio, broadcasting, radio podcasts,…. and move coming as we go on the road to 5G! in the universe there is a court from which we obtain knowledge, strength, and inspiration. Happening in 5G, (1) China Mobile is calling RF solutions supplier Qorvo to join its 5G Innovation center and leverage among others Qorvo’s carrier aggregation and antenna steering expertise; (2) Qualcomm is spending $3B to launch a the RF360 Holdings joint venture with Japan’s TDK to enhance RF filters, power amplifiers, antenna switches/tunner an envelope trackers component integration for the coming 5G solutions; (3) South Korean Operator KT is calling 5G a “network-based” platform and declaring as part of its 3-year plan a strategic intend to growth outside traditional telco areas; (4) With a mobile-first video-first 5G experience in mind, a new LIA/CERI study looks at better techniques for mobile video delivery to the user; and finally (5) 3GPP discussions on RAN architecture underscores the new possibilities an options for basestations, and for RAN as a whole, to best meet 5G requirements. US Radio Frequency (RF) solutions supplier Qorvo is joining China Mobile 5G Innovation center becoming its first RF solutions provider. 5G is expected to utilize spectrum ranging from sub 6-GHz bands (starting at 600MHz) to mmWave bands (up to 80GHz) making RF a complex and essential part of 5G. This move by China Mobile underscores the importance of Qorvo’s advanced module packaging and steerable antenna arrays expertise. Qorvo says that its RF solutions simplify design, reduce product footprint, conserve power, improve system performance and accelerate the adoption of carrier aggregation. China Mobile has also reported to be working with RF solutions suppliers MACOM, Murata and TI at 5G chipset level for 3D-MIMO, high frequency (clocks and timing) and other advanced RF domain processing in 5G issues. 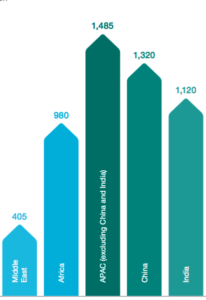 Strategy Analytics estimates that the number of 5G connections will reach 690 million by 2025, with more than 300 million 5G handsets, including a substantial number in China. A new joint-venture between Qualcomm and Japan’s TDK launched this past week to focused on delivering RF Front-End (RFFE) modules and filters into fully integrated systems for mobile devices and fast-growing business segments, such as Internet of Things (IoT), automotive applications, connected computing, drones and robotics markets. The joint venture underscores the important role of filters is in blocking out interference from the growing number of frequency bands used in wireless communications. RF360 Holdings will primarily make surface acoustic wave (SAW) filters, temperature-compensated surface acoustic wave (TC-SAW) and bulk acoustic wave (BAW) filters, which have lower insertion losses and produce less distortion. It will also pack the filters into modules with power amplifiers, antenna switches, antenna matching tuners, and envelope trackers. Qualcomm is investing $3B in the joint-venture agreement bringing TDK’s micro-acoustic RF filtering, packaging and module integration know-how to the deal, completing Qualcomm’s current product portfolio. South Korean operator Korea Telekom (KT) has outlined a three-year vision towards 5G that involves reducing the firm’s heavy reliance on the telecom industry shifting growth focus to non-traditional telco areas such as the media and smart energy. KT expects that by 2020 already 20-30% of its revenues will come from these new areas by becoming a network-based platform business. Specifically, KT will focus on five new revenue areas ― media, smart energy, security, intelligent traffic control systems and healthcare. “We should leap into an intelligent network-based platform business player, shaking off the image as a traditional mobile carrier,” KT’s Hwang said. The intelligent network describes the connection between people and internet of things (IoT) devices, driven mainly by big data and data-based technologies such as cloud computing and artificial intelligence (AI).To achieve the vision, KT is expected to take advantage of its massive big data capabilities. 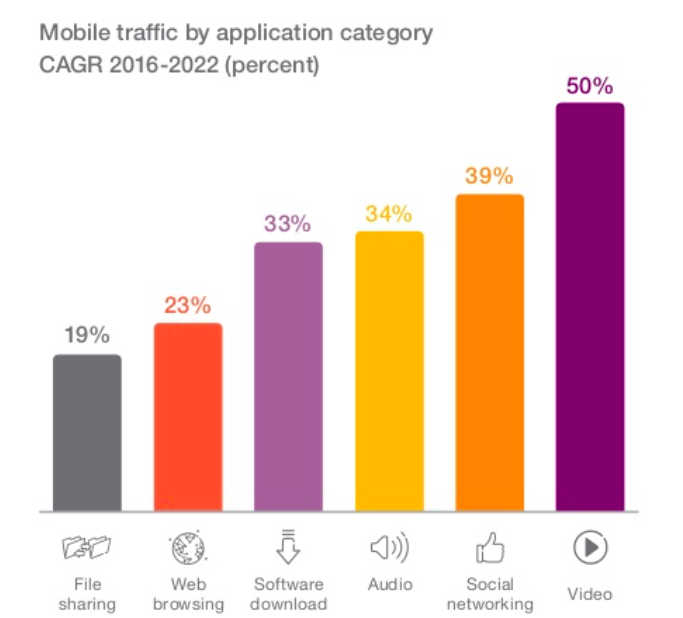 Mobile Video is one of the cornerstones of the evolution to 5G offering both a mobile-first and a video-first experience to the user. 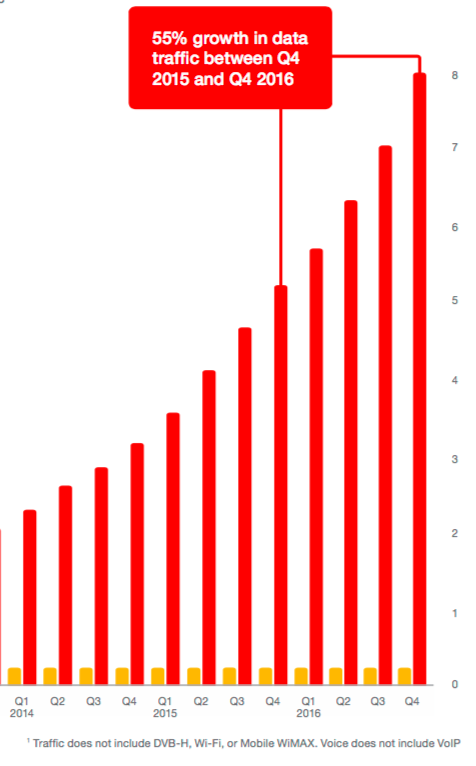 Already in 4G, mobile device use to consume video is skyrocketing. This consumption has been often over WiFi, and often in non-mobile environments like the home for TV or the movie theater. However, the development of mobile video technology over 5G networks could enable the wider use of cellular for live and on-demand video delivery, to mobile devices. Issues of interference, caching, backhaul cost, and streaming protocols are among the most important to solve for a better quality of user experience. Giving the changing nature of the mobile environment, when delivering video streaming over HTTP, the capability of adapting to the mobile environment defined as Dynamic Adaptive Streaming over HTTP (DASH) becomes essential. Already major industry players support DASH-like capabilities with the most well known being Apple HLS and Adobe HDS. These emerging standards on mobile video delivery minimize important interruption and re-buffering time metrics over HTTP. The study published by France’s LIA/CERI shows the possibility to use new algorithms as an online protocol well suited to improve user experience in a 5G mobile environment via dynamic adaptive streaming over HTTP. 3GPP 5G Adhoc meeting last month debated 5G Radio Access Network (RAN) topics. As far as architecture, the discussion was oriented towards defining the make up of a 5G basestation and its internal and external interfaces; it covered three major architecture choices: (1) Central Unit (CU) and the Distributed Unit (DU) split; (2) Front-haul split towards a Remote Radio Head; and (3) RAN internal split of a data plane and a control plane. The operator community is leaning toward standardization of internal basestation interfaces if the front-haul, and also in the mid-haul. These interfaces could trigger a multi-vendor RAN situation thus entire 3GPP ecosystem will weigh in the implications of each interface as well as in the type of interfaces i.e., stage-2 functional architecture or stage-3 messages and protocols specification. Ultimately it appears that in everyone’s mind was how to best meet 5G requirements and implement RAN functionality with new technologies such as cloud and virtualization, in this case of the base station, and improve shared resources, reliability, green/sustainability targets, cost/complexity of operation, etc. The discussion continues for a final decision at a later point. Issue No. 12 (2017-02-05) of 5 Things Happening in 5G sifting through reliable sources to bring you carefully selected, buzzworthy, and focused biz, tech, and market trends. KT’s recently reappointed Chairman Hwang Chang-gyu outlines a three-year vision towards 5G that involves reducing the firm’s heavy reliance on the telecom industry shifting growth focus to non-traditional telco areas such as the media and smart energy. KT expects that by 2020 already 20-30% of its revenues will come from these new areas by becoming a network-based platform business. Korea Telecom (KT) Reappoints Chairman: Just a week after Hwang’s appointment to serve for a second term as Chairman of KT -Korea’s second-largest mobile carrier- he os already being recognized for his results to normalize the firm’s weakening profitability and draw specific plans to lead the coming 5G network era. “Non-telecom sectors will account for some 20% to 30% of our sales by 2020,” Hwang’s said in a meeting with executives Friday, calling for the need to transform the company into a platform business operator with its expertise in big data management. KT’s 5 New Revenue Areas and its Platform Business: Toward that end, the company chief said he would focus more on its five new revenue areas ― media, smart energy, security, intelligent traffic control systems and healthcare. “We should leap into an intelligent network-based platform business player, shaking off the image as a traditional mobile carrier,” Hwang said. The intelligent network describes the connection between people and internet of things (IoT) devices, driven mainly by big data and data-based technologies such as cloud computing and artificial intelligence (AI).To achieve the vision, KT is expected to take advantage of its massive big data capabilities. “For the past three years, we have laid enough of a foundation to tackle new challenges and achieve a huge leap forward in our business,” Hwang said. Under the intelligent network framework, the company will focus on generating more results in the new revenue areas over the next three years, Hwang said. As part the new vision’s first step, KT is seeking to demonstrate for the first time its pilot 5G services at next year’s PyeongChang Winter Olympics. KT’s Keynote at the Comming MWC: Hwang will fly to Barcelona to attend this year’s Mobile World Congress (MWC). He will give the first keynote speech on Feb. 27, discussing the latest mobile trends such as AI and the IoT. In Parallel, KT Extends Its Commitment to the 5G Alliance with China Mobile and DoCoMo to 2022: In 2015, KT, China Mobile and DoCoMo created a task force for the 5G networks. Accordingly, the three companies issued the “5G Joint Cooperation Declaration.” to share 5G visions and roadmaps which are specialized in the Asian market, the joint verification of major 5G technologies and systems, the cooperation with international organizations to lead the global 5G standards and the continuous development of new 5G services and markets. As the agreement has been extended to 2022, the three mobile operators in Korea, China and Japan will make the best use of special demand for their respective upcoming Olympics – the 2018 Winter Olympics in PyeongChang, the 2020 Summer Olympics in Tokyo and the 2022 Winter Olympics in Beijing. US RF solutions supplier Qorvo is joining the China Mobile 5G Innovation Center as its first RF solutions provider. 5G is expected to utilize spectrum ranging from sub 6-GHz bands (starting at 600MHz) to mmWave bands (up to 80GHz) which makes RF a complex and essential part of any 5G solution. The move by China Mobile underscores the importance of RF in general and of Qorvo’s advanced module packaging and steerable antenna arrays technologies in particular, on the road to 5G. Qorvo is a Leading RF Partner of China Mobile: US Qorvo — which provides core technologies and RF solutions for mobile, infrastructure and defense applications — is announcing that it has been selected as the first RF supplier to join the China Mobile 5G Innovation Center. Qorvo says that its RF solutions simplify design, reduce product footprint, conserve power, improve system performance and accelerate the adoption of carrier aggregation, steerable antenna arrays and packaging. China Mobile has also reported to be working with RF solutions suppliers MACOM, Murata and TI at 5G chipset level for 3D-MIMO, high frequency (clocks and timing) and other advanced RF domain processing in 5G issues. The Role of China Mobile 5G Innovation Center: The center was launched last year with 11 partners, aims to propel 5G development for China – the world’s largest mobile market – addressing areas such as Communication Capabilities, Internet of Things, Connected Cars, Industrial Internet, Cloud Robotics, Virtual Reality, and Augmented Reality. The center is driving the development of 5G end-to-end capabilities in all these areas. The center, planned as a network of several open laboratories the collaborate via the Open Lab platform, carries out the design and development of 5G innovation product, validation and optimization of key technologies, and exploration and incubation of business models. The center’s Core Laboratory is in China Mobile Research Institute in Beijing. Relying on 5G Innovation Center, China Mobile will be actively involved in 5G trials organized by IMT-2020 (5G) Promotion Group and promote 5G candidate technologies’ validation, standardization, industrial chain construction and product maturity to meet the requirement of 5G commercial deployment in 2020. Strategy Analytics estimates that the number of 5G connections will reach 690 million by 2025, with more than 300 million 5G handsets, including a substantial number in China. The first 2017 issue of 5G Magazine (Issue Num. 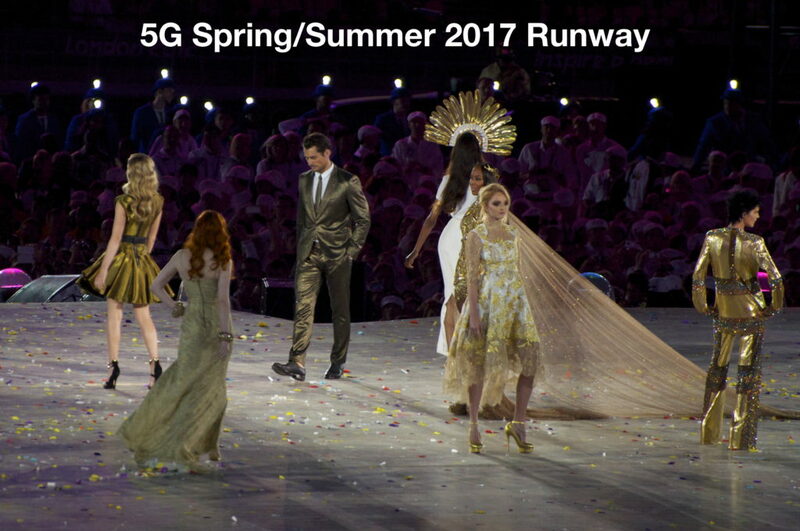 7) opens with a “5G Spring/Summer 2017 Runway” featuring the season’s market-trending products, services and devices that made it from the designer board to essential pieces we are likely to see deployed in real life. The next article in this number, “The Elephant in the 5G Room”, is an in-depth analysis of the three disruptors from outside the traditional telco sector. They are not yet on the “5G runway” but we expose the role they are playing in shaping mobile platform evolution, and how they are becoming new players in the 5G ecosystem. China Mobile 5G Innovation Center is an alliance created to develop 5G technology solutions for China, the world’s largest wireless communications market. We are taking our readers on a tour that touches upon activities, technologies and members of the alliance. The “5G Start-Up of the Month” where we feature a company making strides with their open-source based approached to spearheading the future mobile devices that will capture our hearts when 5G comes around. We debut in this issue “The 5G Calendar “ a comprehensive list of the key seminars, technical talks, training and events not to miss for 5G. 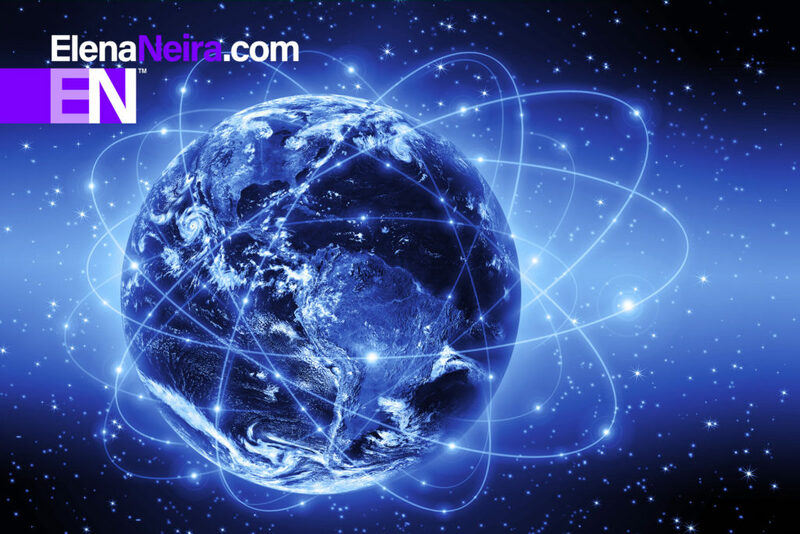 The events have worldwide scope and many of them are online events to be of interest to our global 5G community. In “The 5G Rockstar” article, we feature news and updates of the movers and shakers of 5G, those are the thought leaders, industry executives, government officials and scholars who are charting the road to 5G. Happening in 5G, France’s Leti announces 5G trials of multiservice transmissions in the 3.5 GHz TDD band using 40 MHz bandwidth; Korea weights using 1.3 GHz band as additional spectrum for 5G services; Singapore’s M1 and Huawei report results of their 5G trial in the 73 GHz band; Turkcell and Ericsson tests 5G in the 15 GHz band and reports 24.7 Gbps; and finally, an edge computing survey by Hong Kong University looks at use cases, architecture and trends to shape 5G workloads. France’s telecommunications regulatory agency, Arcep, is grating Leti a temporary license to run a field trial involving multiservice transmission at 3.5 GHz using TDD and a 40 MHz of bandwidth. According to Leti, 3.5GHz might be the first carrier frequency that will be released for 5G and their focus is pre-commercial testing of a new post 4G OFDM modulation called block filtered-OFDM (BF-OFDM). A new medium access control (MAC) layer will also demonstrate multi-service and coexistence with primary systems. More advanced features of future 5G networks will also be investigated, such as in-band full-duplex (IBFD) — which theoretically doubles data rates. The results of these field trials will enhance Leti’s technology-to-system offer for its industrial partners in the context of 5G telecom applications and ad-hoc proprietary radio solutions for verticals. Leti is also saying that during the trial it will look at mitigating self-interference by merging 3 techniques: antenna isolation, RF cancellation circuits and non-linear digital filtering. Korea’s Ministry of Science, ICT and Future Planning says it is planning to allocate additional spectrum to 5G within the 1.3GHz band between the nation’s three cellular carriers, KT, SK Telecom and LG Uplus. Ministry official Choi Younger-hae stated: “The ministry will form a team… to work on allocating 5G bandwidth and provide the detailed plan.” The ministry didn’t say how much bandwidth can be put aside for 5G purposes within the 1.3GHz band. Spectrum within the 1.3GHz doesn’t seem to have been used for cellular but. GPS satellites use 1.38105GHz. The ministry also stated it had been in talks with South Korea’s cellular carriers, with industry players and with Samsung and LG, to devise a plan to taking the lead in the area of 5G. M1 and Huawei announced that they have successfully achieved Singapore’s highest 5G transmission speeds of 35 Gbps. The demo was carried out at M1’s main operating centre in Jurong. It was conducted using mmWave’s E-band at 73GHz. The results validated the performance of high frequency bands to kick off standardization of 5G high-frequency technologies in Singapore whose regulator, IMDA, is in parallel conducting a 5G spectrum consultation to prepare for WRC19. 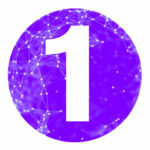 M1 highlights that the trial results include greater throughput speeds – users will be able to download a 1080p movie in seconds – and support of a massive number of low-latency connections critical to the next wave of AR, VR and IoT apps such as autonomous driving. This trial follows last year’s Gigabit-LTE trial that achieved a combined download and upload speed of more than 1 Gbps using existing commercial infrastructure and a prototype 3GPP CAT14 device. The trial was made possible through the innovative integration of four advanced network technologies: 3CC (three component carrier) aggregation, 4×4 MIMO (Multiple-Input Multiple-Output), Higher Order Modulation 256 QAM (Quadrature Amplitude Modulation) and 2CC uplink carrier aggregation. “Singapore’s mobile networks are widely acknowledged as amongst the most advanced worldwide, and M1 is committed to staying at the forefront of 5G technology to ensure our consumers enjoy the best experience and latest smart applications,” said Mr Denis Seek, Chief Technical Officer, M1. The drive behind Mobile Edge Computing (MEC) or edge computing for 5G is to shift computing workloads to the network edges reducing and/or eliminating the latency caused by congestion and/or propagation delays in the transport and core networks. This month, Hong Kong University released a survey of edge computing architecture, use cases and trends. 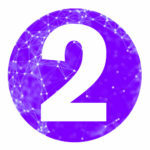 The survey looks at why edge computing is different from cloud computing, concluding that specific to edge computing are deployments in small data centers with light server resources co-located with wireless gateways and basestations/access points; it is deployed by telcos, enterprises and home users using lightweight configurations; it is deployed within tens or hundreds of meters to the user with limited backhaul requirements; it is managed in a central/distributed fashion to support latency of less than 10ths of milliseconds; and, it is suited to support locally real-time computation intensive apps. The survey emphasizes that this last requirement is key thus the efficiency of edge computing rests heavily on its central/distributed architecture. This architecture is driven by the intensity of the workloads and the rate/pattern of communications, and it exploits computation offloading, joint radio-and-computational resource allocation, server scheduling, and multi-server selection and cooperation techniques. The survey lists future directions for deployment, cache-enabled MEC, mobility management for MEC, green MEC, security, and privacy issues in MEC. The survey also says that its most prominent cases are multi-access edge, real-time video streaming analysis, AR, VR, IoT and connected cars. Issue No. 11 (2017-01-20) of 5 Things Happening in 5G sifting through reliable sources to bring you carefully selected, buzzworthy, and focused biz, tech, and market trends. Happening in 5G, the US names seven administrators to manage spectrum sharing scheme in the 3.5 GHz band; Intel unveils the first global 5G modem; AT&T, Ericsson and Qualcomm announce plans to conduct interoperability testing and field trials of 5G New Radio aiming at video steams; at the 2016 Chinese Communications Conference, China Unicom outlined a three-step 5G commercialization plan; and finally, the 2017 year starts with renewed and even higher interest in 5G with CES 2017 showcasing 5G technologies all over the show, and with a 40% increase in searches for the term 5G. Happy New Year! Best wishes of peace and prosperity in 2017. In US, the FCC recently announced the designation of the 3.5 GHz spectrum administration entities . It approved seven entities to manage the 3.5 GHz band: Amdocs; Comsearch; CTIA; Federated Wireless; Google; Key Bridge; and Sony as Spectrum Access System (SAS) Administrators in the 3550-3700 MHz band. The SAS will coordinate three tiers of users in the 3.5 GHz Band, making the band available for commercial use on a shared basis with existing incumbents, i.e. federal and non-federal users. 5G will make use of new and often higher frequency bands (most prominent options under consideration are 3.5GHz, 28GHz, 37GHz and 39GHz), and it will also use bands already used by existing cellular technologies such as the 700 MHz band. 5G will also offer unprecedented technology options that make it possible to administer these chunks of radio spectrum beyond the legacy license model, and this SAS scheme marks an important step toward making spectrum managed under other innovative uses. The FFC approval is conditional, and issues such as the propagation model that SAS administrators and the WinnForum are assessing remain open. Coinciding with the CES 2017 tradeshow, Intel is announcing the first global 5G modem as well as a companion transceiver. The transceiver and modem combination can support trials and testing in sub-6 GHz bands as well as 28 GHz mmWave band. Intel has in mind that this is a wining combination to use in segments where 5G will see initial traction, i.e. “… is expected to be used by leading operators and industry leaders in early 5G deployments including automotive, home broadband, mobile devices and others.” Intel also announced at CES the launch of the 5G-ready GO platform, to help autonomous vehicles connect using cloud computing. GO development kits for Intel’s Atom and Xeon processors were introduced at the show. Intel also shared that it has partnered with BMW and Mobileye, and it has acquired 15% of digital mapping firm HERE as part of the push into autonomous vehicles. With CES 2017 underway, AT&T, Ericsson and Qualcomm are announcing plans to conduct interoperability testing and field trials of 5G New Radio (NR) starting the second half of 2017. These tests will be conducted in the mmWawe very-high frequency bands –short distance and high bandwidth. Cellular providers in general aim at utilizing these frequencies in “densification” efforts in high population areas and in high usage venues like football stadiums, train stations, concert halls and urban plazas. The most demanding use will be streaming video loads in 4K and/or HDR, connected cloud services and VR/AR apps. The focus on streaming, video perhaps could make this announcement a piece of the puzzle of AT&T’s DirectTV strategy. During Chinese Communications Annual Conference 2016, China Unicom detailed the company’s 5G deployment plans. China Unicom says that it plans to promote 5G in three stages. During the first stage (2016 – 2017), it will issue white papers covering 5G demand, network architecture and technology evolution; in the second stage (2017 – 2018), it will verify key technology standards for the wireless network, the core network and transmission systems; in the third and final period (2018 – 2019), the company will carry out field trials, 5G commercial ecological cooperation and develop commercial construction plans. China Unicom also highlighted at the conference that 5G will be combined with other vertical industries, and migrate from voice services to Internet & integrated information services, achieving seamless integration between ICT and comprehensive information. 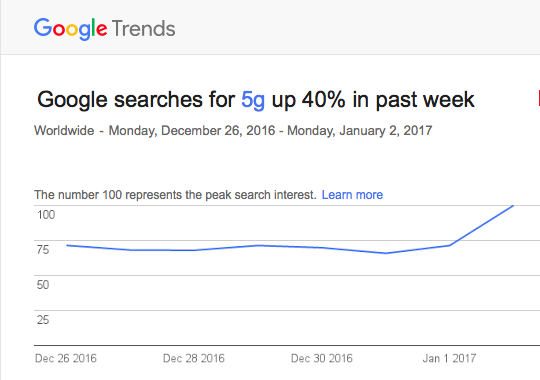 Google Trends reports that last week (December 28, 2016 – January 2, 2017) saw an uptake of 40% in Google searches for “5G” worldwide. Breaking it up by regions, the interest in the term increased the most in China (100%), Taiwan (47%) and India (43%). Google also reports that the raising related topics, i.e. 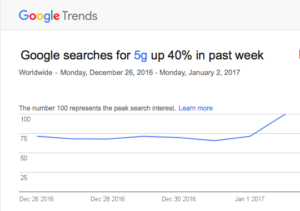 topics with the biggest increase in search frequency since the last period are ‘CES’ with +500%, ‘Intel’ with +300% and ‘AT&T’ with 170%. Issue No. 9 (2017-01-03) of 5 Things Happening in 5G sifting through reliable sources to bring you carefully selected, buzzworthy, and focused biz, tech, and market trends.